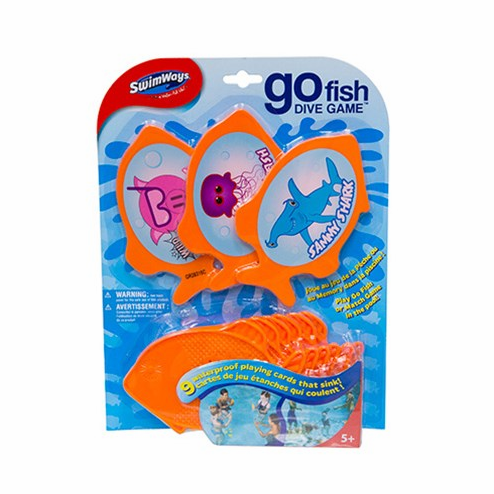 The Go Fish Dive Game from SwimWays is a set of waterproof game cards that allow kids to play Go Fish and Match games underwater! (See game instructions below.) This fun swimming pool game for kids challenges their memory and recall skills through engaging, active play.